During the great console wars of the early '90s, most gamer kids were either boosting Sega and Sonic the Hedgehog or Nintendo and their moustachioed plumber dude, Mario. 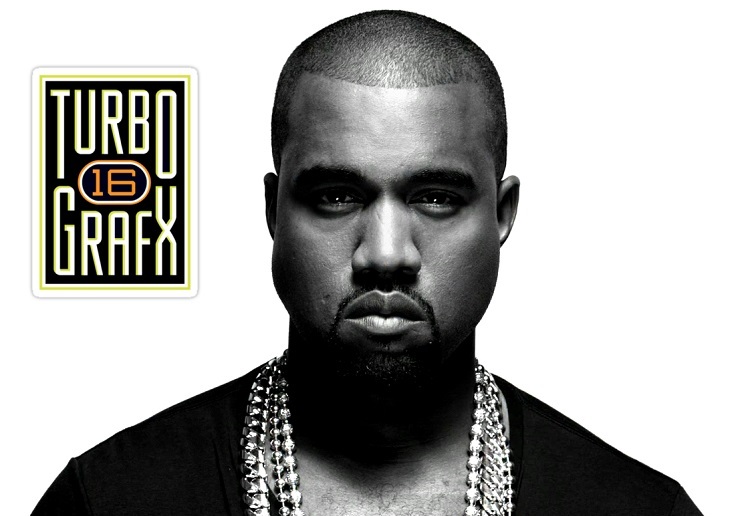 It turns out Kanye West may have been more inclined to root for underdog head-butter Bonk, as he's apparently just titled his next album Turbo Grafx 16 after the long-forgotten gaming console. West's latest Twitter spree had him reminiscing on the TurboGrafx-16, an early 16-bit console that landed in North America in 1989. The card-loading unit didn't quite take off as makers NEC and Hudson Soft had anticipated, but West, apparently juiced up on some "super nerd vibes," called it "one of my favorite gaming systems when I was a kid." We actually played Spy Hunter at my mom's house!!! While West had tweeted out earlier this week that he apparently has a new album coming out in the summer, it should be noted that Turbo Grafx 16 is only the title "as of now." Also worth remembering is that West's recently delivered The Life of Pablo went through a handful of name changes ahead of arriving on TIDAL. Prior to its release, the album had been given the working titles So Help Me God, Swish and Waves. Though it may well be several more months before we get the next Kanye West LP, you can check out some sweet 16-bit gameplay of Yeezy's beloved Blazing Lazers down below.